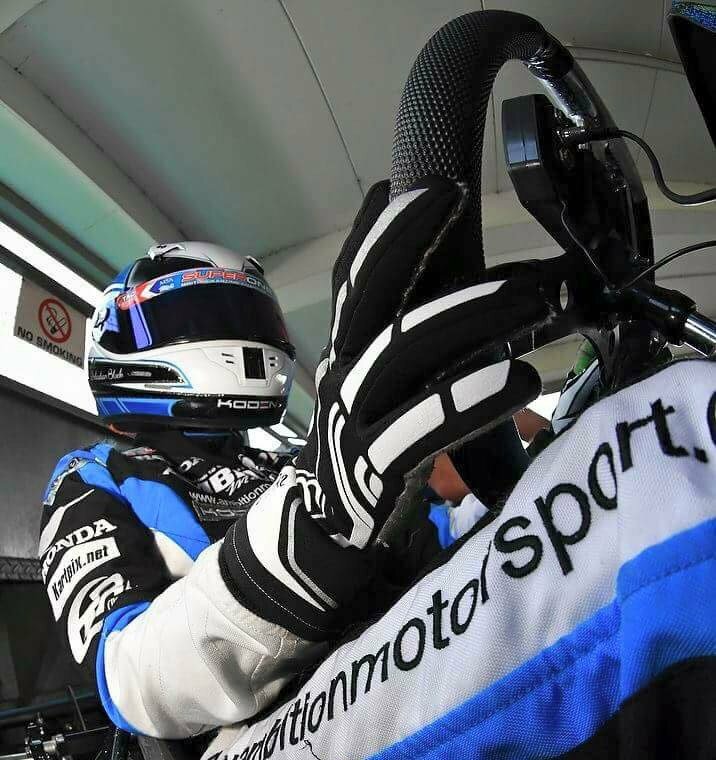 Ambition Motorsport manage a race programme for all of their drivers. Each driver is set an specific calendar of races for the year to suit their personal targets. Most drivers compete at club events, before the team qualify them to race at British and European Championship level. This enables the drivers to compete to the maximum of their potential. We offer ‘one to one’ days where every aspect of race craft is covered. This is ideal for everyone from complete beginners, to experienced drivers wanting to find that extra edge on their rivals. All track events start with a comprehensive track walk. Drivers are supported throughout the day by data analysis (via Mychron data systems). We also analyse GoPro footage of each session to improve speed and race craft. Each driver also benefits from their own the mechanic if requested. We cover all classes from Bambino to Seniors. We run test days every week, to support the learning process for all our drivers. If you would like some more information about this service then don’t hesitate to get in touch and ask us some questions. 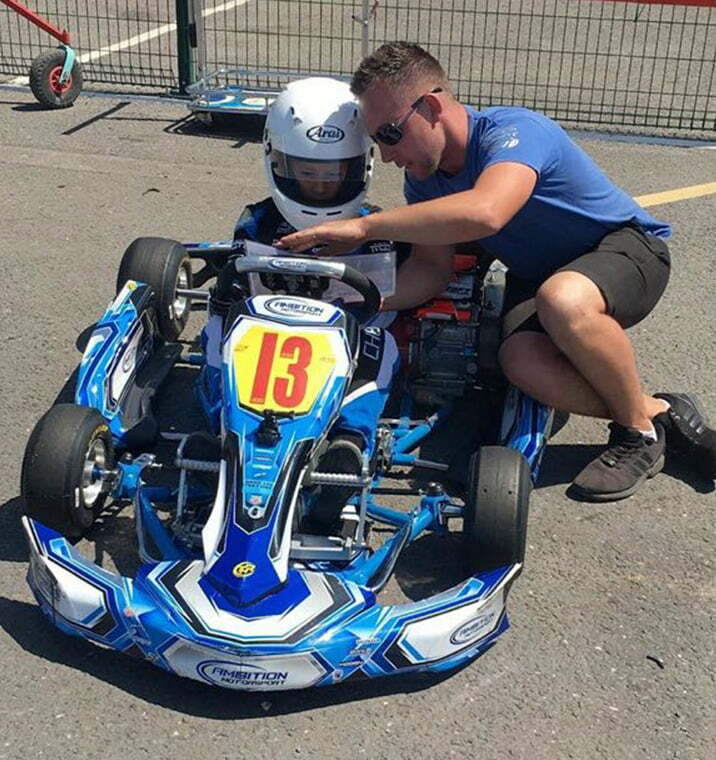 Kart preparation and alignment is a key factor to our ongoing support for our team drivers and customers. All CIK/MSA regulation changes can be carried out. 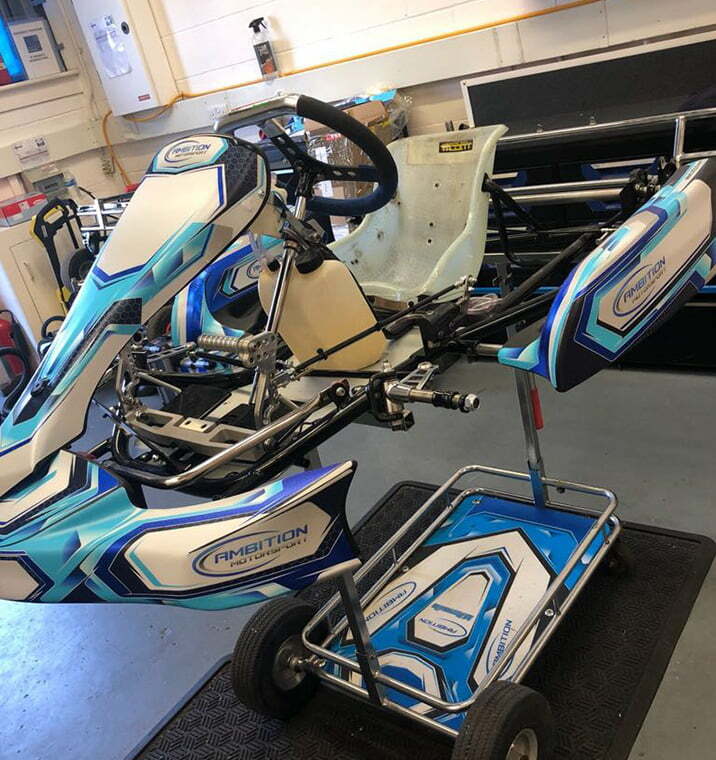 Full kart strip down and builds are vital to ensure your weekend goes without a problem and can be done easily here at Ambition Motorsport’s workshop. All chassis makes are catered for and all replacement parts can be supplied if required. Kart preparation starts from £75 (plus VAT). Give us a call to discuss your requirements. Prices start from £30 upwards, for a quote please contact us directly. Ambition Motorsport specialise in events throughout the UK, but mostly in the South East of England from our base at Bayford Meadows. Test and race events are fully supported in all classes at Bayford Meadows, Buckmore Park, and Lydd. 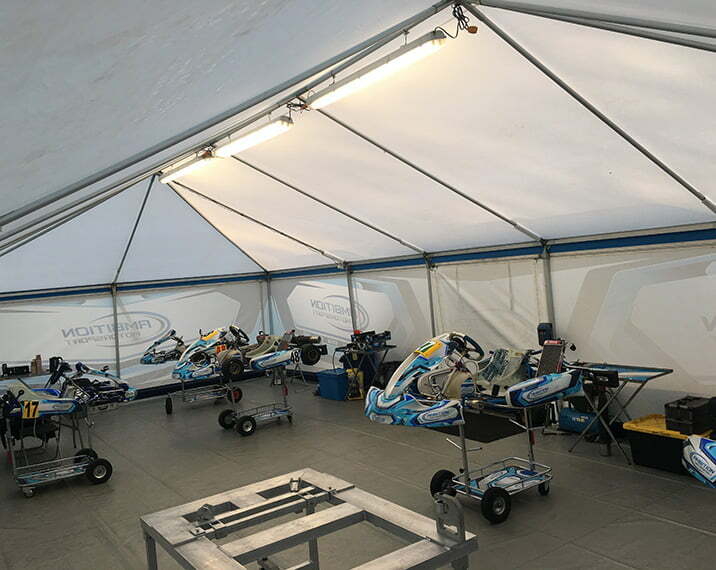 However, with our support vehicles – each equipped for carrying karts, equipment, spares, awnings and our data analysis systems – we are able to offer full Ambition Motorsport team support at any major circuit in the UK. We already attend regular club events throughout the UK, depending our our calendar. Please check our calendar for dates which suit your requirements. Ambition Motorsport take pride on selling high quality karts for our customers and team drivers. We stock a range of new and second hand equipment at competitive prices. Please see our Facebook page for our range of available ex-team equipment.